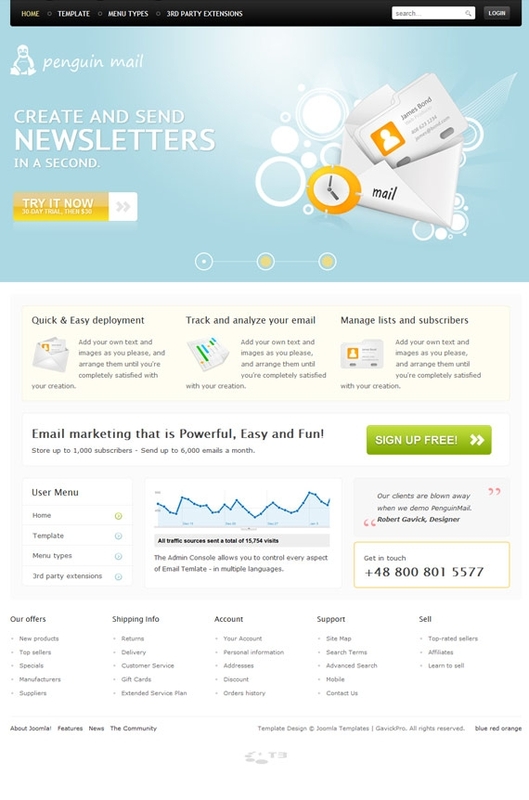 With marks of excellence, soft elegance and well-defined lines, PenguinMail is perfect for business presentations, services and customer communication, making use of its strong character and clear layout. 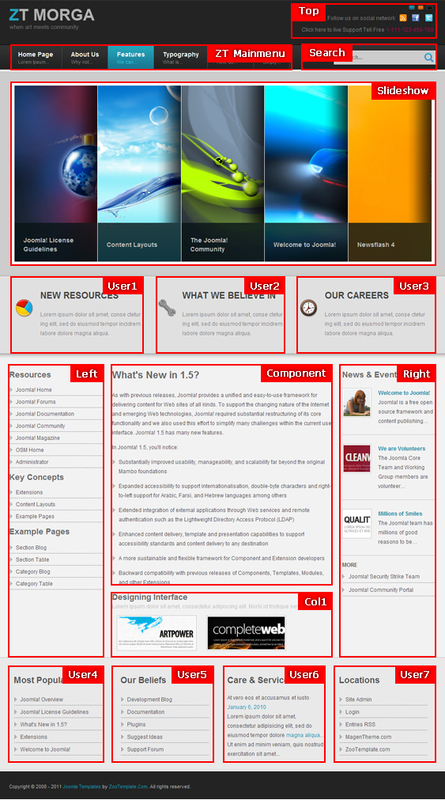 JA Graphite – April 2011 Joomla template for Joomla 1.5 and Joomla 1.6. 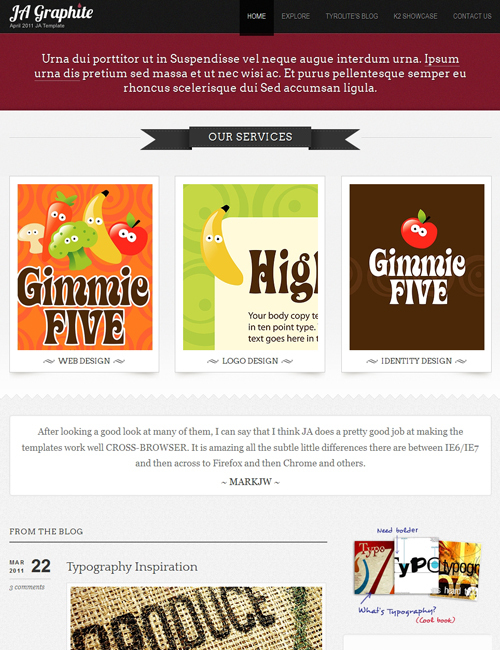 Elegant blog template with five colors to choose from. The Design does not restrict the usage of the template and the template can be easily blended from any type of requirement. Powered by robust T3 Framework 2, it comes bundled with 5 complimentary extensions. K2 style support for now is limited to Joomla 1.5 versions only. Creating a close connection to those you do business with. 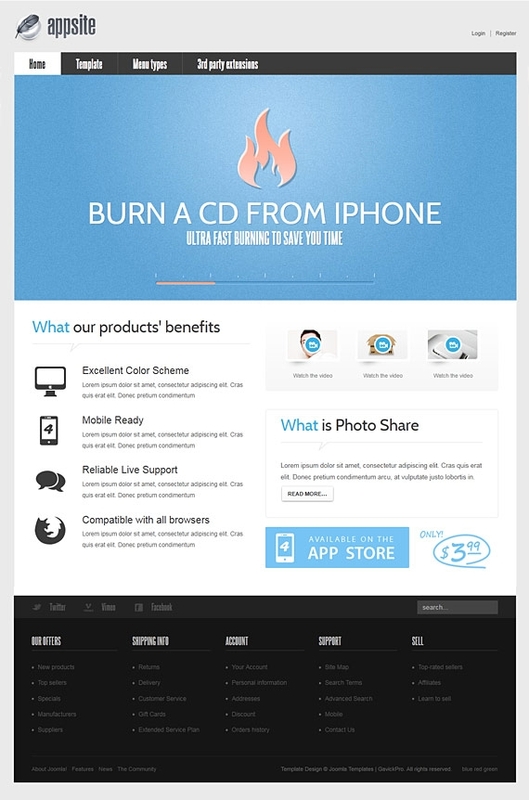 Appsite is our new project, designed especially for companies and product presentations or business projects. Clean design with elegance and subtle lines, will commit the best conditions to reveal your projects, new ideas or any productive investment, helping you to seek the simplest implementation of business offers. Now, with technology in its full potential, it’s a business as usual. ZT Morga is a gateway to make your website underway quickly and easily, great for entrepreneurs either starting a business or with an established. We at IceTheme always try to put ourselves in your own shoes. As you can see from the IT TheSoftware Joomla Template, all the necessary elements and tools are always there and exactly on the place you would like most. We use this methodology to build sophisticated Joomla Templates while maintaining a simple and clean interface so your users don’t get lost in your website but rather complete their goals. With the IT TheSoftware your future website will immediately change its “face”, giving your first-time visitors the professional feeling, which will be perceived for your business, as well. Moreover, taking advantage of 6 template styles, the provided Photoshop files and our first-class support you, the website owner will have the job more than easy to built a top-notch, custom looking website, and then pass on your next project without making your hands dirty with the job that we have already done for you. JA Minisite – May 2011 Joomla template for Joomla 1.5 and Joomla 1.6, comes with eight colors and K2 component support ( Joomla 1.5 only). The template can be used for multiple purposes ranging from corporate site to personal blog site. We are sure that you would find it pretty flexible for your usage. 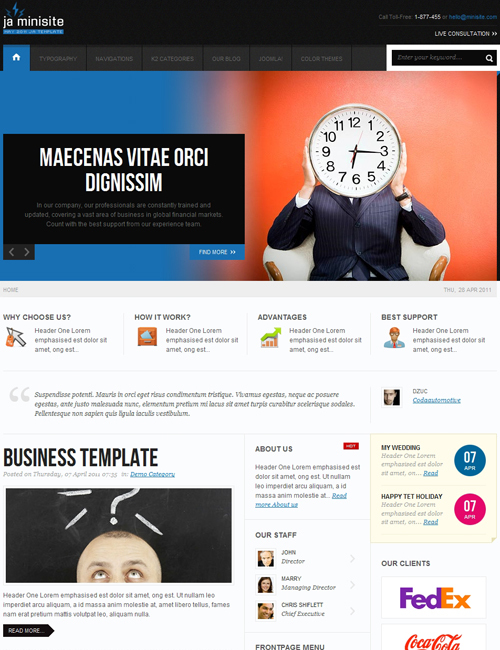 Shaper Binary is a professional, elegant, clean and modern template for Joomla! cms which best suited for corporate, business, personal, showcase, portal and portfolio type website.